POUND by Todd English is celebrating the opening of their SM Mall of Asia branch on December 12, 2017! 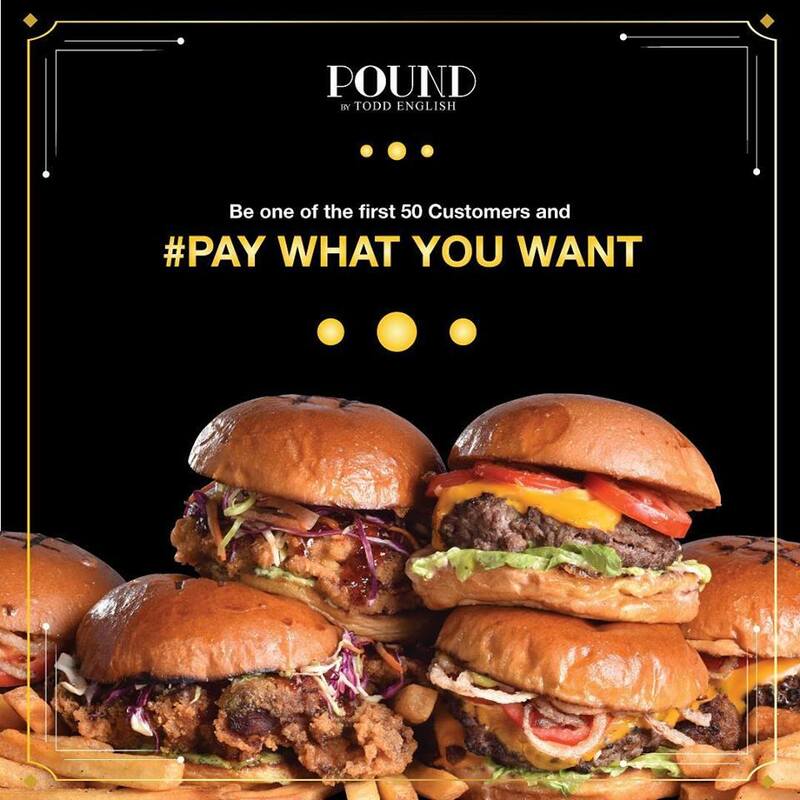 Grab your favorite burger and pay want you want for it! So, head over to SM MOA tomorrow, and be sure to be at the Pound early because only the first 50 customers can avail to the promo! -This promo is valid for all burgers and sliders except for Pound Foie Gras Burger. -Limited to one Pay What You Want per person for every transaction. -Valid for the first 50 customers only on December 12, Tuesday at SM Mall of Asia.